Montoya is one of Mahogony Prince’s most illustrious sons. The blending of his sire, the legendary Mahogany Prince of PVA and his irreplaceable dam, BBFAI Azalea, produced such a pre-potent male. 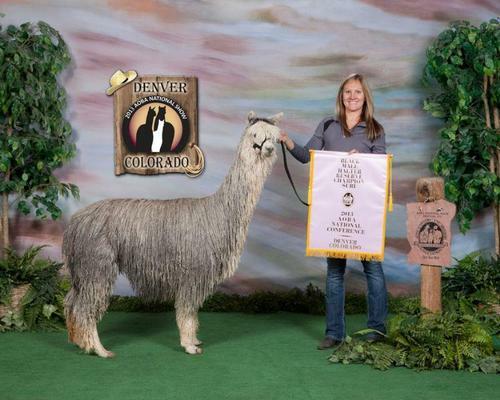 Montoya possesses a rich, deep mahogany colored fleece that is extremely dense, with excellent coverage and well locked from the tip of his ears to his toes AND is a multiple COLOR CHAMPION. Little Fantasy is now retired from breeding. 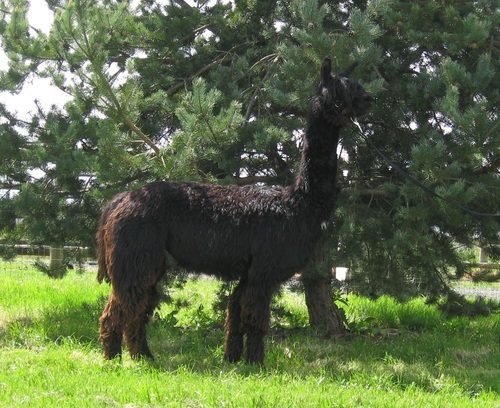 She continues to enjoy sunshine and good pasture, the company of her friends, and excellent care here at Park View Alpacas. It's the least we can do for one of our ladies who has done so much for us. Midnight Fantasy is tall and elegant—graceful when she walks. She is quiet and peaceable. So far she has delivered her crias easily and with a minimum of assistance. Her milk production is good. 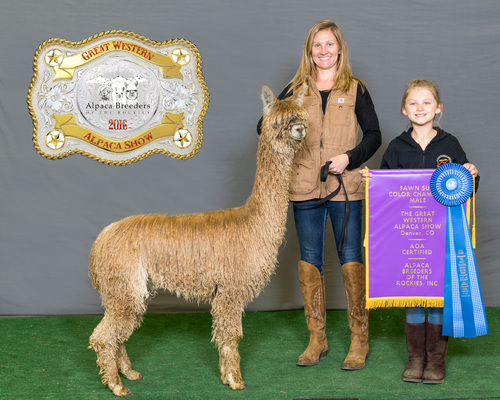 Both of her daughters enjoyed good health and excellent care from their dam, and both have made their mark in the show ring. To date, Midnight Fantasy has borne two female crias by MacGyver's Balboa. 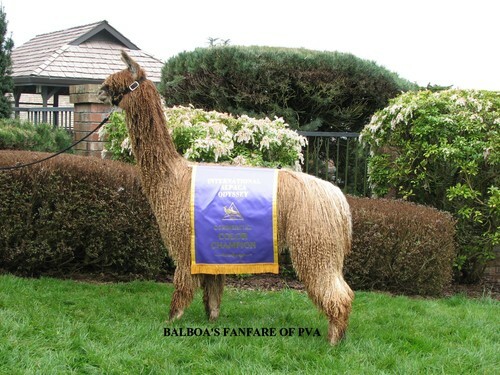 Balboa's Fanfare was born in 2009. Balboa's Midnight Fancy was born in 2010. 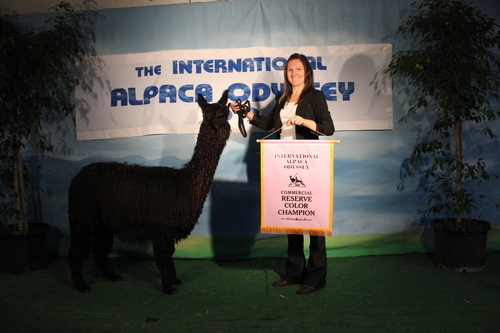 Midnight Fantasy gave birth to a male cria by Black Obsidian of PVA in August of 2011.